An ex-cop, tormented by his past, makes a final attempt at finding peace in the company of the man he never caught. The filmmaker is Josiah Stendel working with the Reel Difference Film School. 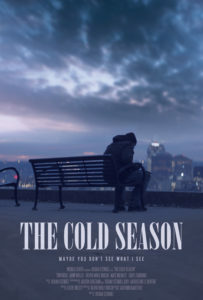 THE COLD SEASON Official Trailer (2019) from Reel Difference Film School on Vimeo. Follow the progress on Facebook.